The clean tech revolution keeps on advancing and I never thought I’d see China taking the lead in the fight against carbon emissions and global warming. Yet, Beijing seems to be one of the most proactive countries in structurally challenging its energy production, with renewable energy claiming a growing piece of the total. And while the “how” would deserve a deeper investigation (e.g. stagnating energy demand, decreasing cost of renewable energy, etc. ), it can’t be denied that China seems to be taking its commitment to the Paris Climate Accord very seriously, if not for philanthropy at least for mere economic convenience and long-term investment. In this perspective, it should not surprise a similar pattern can be observed in urban transportation. Undetected by most people in the tech space, China has a rising bike-sharing industry. You read that right: bike-sharing for Chinese overcrowded urban areas. And it’s working big! Nowadays we see tech startups tackling all fields of transportation and logistics. From cab to ride-hailing, from on-demand food delivery to small freight delivery, from commercial truck delivery to shipping. Bicycles always seemed the least likely to be next: why would you pay to ride a bike, on-demand? That what my reaction before putting some thinking into it. First of all, it’s not a small market. This 2016 report suggests that 135,000,000 bikes are produced annually. Some market researches suggest the global value of the industry, including the rental, is around $45 billions and is expected to grow to over 60 in the next 6 to 7 years. On top of that that the entire “rental” segment is very fragmented, mainly traditional, with limited economies of scale (so far). Urban areas are increasingly congested, both in developed as well as developing countries. Come on, let’s admit it: driving a car in the city is frustrating. In developing countries bikes still represent the primary transportation mean, followed by scooters. In Europe the union has financed and supported projects to make cities more bike-friendly. Several EU-financed bike-sharing services sprung up across European cities. I recall my rides with my “Valenbici” (bike-sharing service in Valencia) when I was an exchange students, and I simply loved it! Uber successfully removed the ownership factor from the worldwide demand for transportation, meaning people are more accustomed to the concept of on-demand. 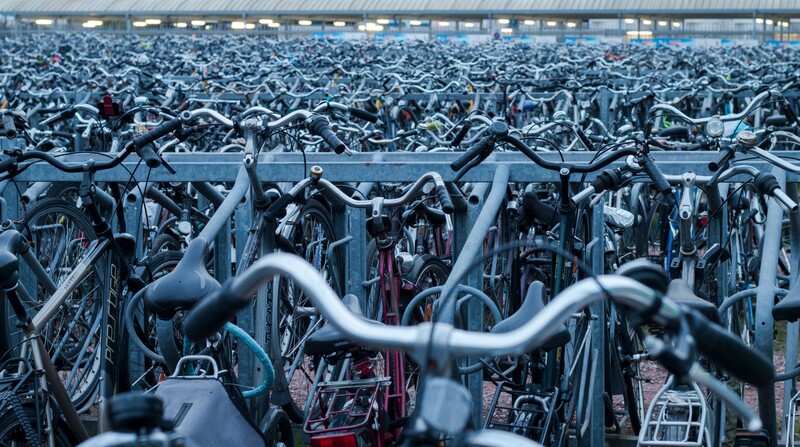 Technology lowered the cost of deploying and managing a bike fleet in an urban area. The simple fact that the bike doesn’t need a dock-station is revolutionary for the customer’s experience. Now, let’s look at some of the startups active in the space. Moride.com. The heavy-weight from Shanghai. According to Crunchbase, this company raised a Series B of $10m in August 2016 and went on to raise $100m (Series C - Sept 2016), $215m (Series D - Jan 2017) and a colossal $600 (Series E - June 2017). Ofo.so. The contender from Beijing. They raised $130m in Sept 2016 and $450m in March 2017, with London-based Atomico as of the investors. Bluegogo.com. The “rookie”. Based in the more provincial but highly urbanised Tijanjin, it raised $7.4m in Dec 2015, then $22m in Nov 2016 and another $59m in Febr 2017. With the latest, massive round of Mobike (which is also using to expand in Europe), Ofo and BlueGoGo must be out for the kill. I expect more, huge investments flocking into these two..
LimeBike.com. Based in San Mateo, it raised $10m in March 2017 with Andreessen Horowitz as lead investor. Spin.pm. Also from the Bay-area, it closed a $8m Series A at the end of May 2017. I’m not surprised California is heading the movement in the US. What I do wonder is the potential toward other states: Americans take particular pride in their car industry and, while people in California tend to opt for environmentally-friendly solutions, I am not that confident a similar adoption will occur elsewhere. I have come across similar initiatives in the UK but Omni is currently the only one standing out, hoping more will follow in continental Europe. Berlin has a fast-growing e-scooter sharing company, unumotors.com (€7.5m Series A in May 2017) and joincoup.com (an initiative by the Bosch Group and Gogoro), but I haven’t seen bike-sharing a-lá Mobike. Now the big question: is the dock-less bike sharing business model sound and sustainable? Well, I guess it is at scale. I don’t believe we would see this magnitude of investments otherwise. It feels like the cab-hailing battle just few years back: everybody knows the industry will need to go through shake-ups and acquisitions till a clear winner is determined. In addition, it seems pretty clear that riding fees are just one portion of the revenues: bikes are perfect urban advertising space! TechCrunch just covered this very topic a couple of days ago. I remain wary of the customer experience, though. I live in the Netherlands so cycling is a (almost) daily activity and I simply hate the time it goes into the maintenance. Not to mention I don’t have a shelter so I leave it exposed to the seasons and thieves. Bike sharing might seem a solution but what if I don’t find a bike when I need it? I need to walk there: the bike won’t come to you! So I would still prefer have it there, any time I need it, but without the hassle of maintaining it. Something like a lease service. Why isn’t it anybody doing it? Well, somebody is: Swapfiets.nl (literally, SwapBike). For a monthly fee, customers receive a city bike on their door step and can call for a replacement if anything breaks, within the same day! I find this model a game-changer and the company (a startup from Delft, NL) is doing extremely well, without a raising any external capital (at least, on record). I wouldn’t be surprised if this model get copied elsewhere, nor if I’ll see SwapFiets raising few millions over the next 6 to 9 months.